Preventing avalanches, shaving precious milliseconds off lap-times in Formula One, creating beauty in art, music, fashion and furniture design, testing the powerful engines for new aircraft, planning the Olympics, bringing maths to life on the stage, writing fiction and reporting facts... What do all these jobs have in common? They all use maths! Our library of in-depth interviews explore the careers of people who use maths in their jobs every day. 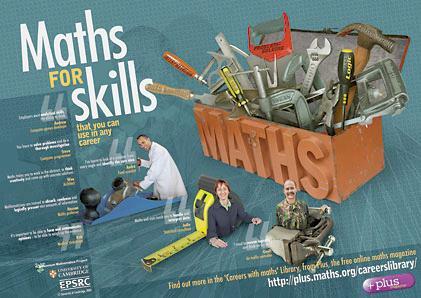 Browse the library and discover how maths gives you skills that you can use in any career. 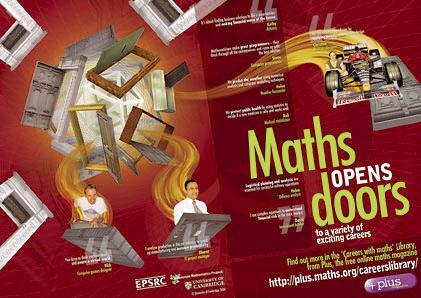 Maths opens the door onto a wide variety of exciting careers – find out where maths can take you! Riaz Ahmad's mathematical career has led him from the complexities of blood flow to the risks of the financial markets via underwater acoustics. Plus found out how maths can explain all this and more. John Henstridge and Jodie Thompson tell Plus about life as consultant statisticians, modelling real-world problems in areas as diverse as the shipping industry and water rationing. 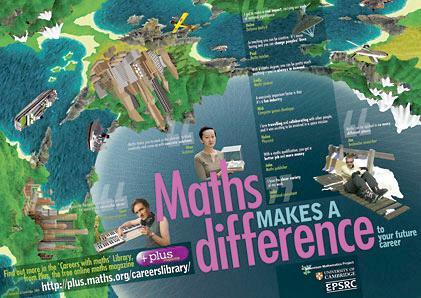 And don't forget you can download all our Careers with Maths posters!